So, what are you waiting for? Combine the above DRY ingredients thoroughly in a glass, plastic or stainless steel bowl. Set aside. Rinse and pat dry the chicken or parts. For a 3-4 pound chicken or chicken parts, take 3 tablespoons of dry rub and combine with sufficient amount of olive oil in a separate bowl so as to make a not-to-runny paste mixture. Too much oil and the spices will not stick properly and too little, the paste is too thick to apply. Use your judgment. Rub poultry on the outside and under the skin with the mixture. You will want the flavor both on and beneath the skin for great taste. Cook over a medium hot fire until the temperature in the thickest part of the meat reaches 160° without touching the bone. 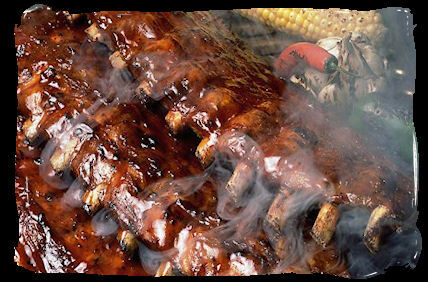 If you desire, move the meat to a cooler portion of the grill and then add your favorite barbecue sauce. Prepare for a great meal!